There has been some requests on and offline about starting up a Science Fiction Role-playing Game. 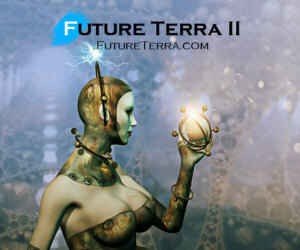 Finding reliable people is a real problem so this has made me look at Future Terra II again. 1. The interface will allow Character Building similar to Traveller where you get it over with in one instant rather during the course of play as in ROK II. 2. Completed Characters can then choose to play whatever Solo games there are but the main structure will be a Play By Post adventure that any GM can run. 3. There will be no need to to track stats or worry about rolls because the Character Sheet will keep track of everything. Therefore, in a typical Play By Post game a player may want to use a Skill but instead of rolling dice and having to make calculations there will be a button for it so the GM instantly gets your success calculated. This means a GM just needs to tell you the story rather than take on the work of calculation, resolving combat, or calculating experience - that will all be done automatically! I like those ideas specially the Play By Post interaction. Having a Science Fiction game going at the same time will also give me something to do when my ROK character is resting. This could be a great idea. I would look forward to playing a Science Fiction Role-playing Game, play by post game. Especially since, since I already have my dose of Dungeons & Dragons and ROK 2. With the new character building format will there be room to continue learning after game play has started or is it once you create the character nothing else can be done? Time warping with ROK2, I would like to see how that would happen? You will need a futuristic town, equivalent version of Liafair? Not to mention all the NPC's? A science fiction based Role-playing Game similar to ROK would be something I will be excited to get into. Now that I have opened up the Battle Map for ROK II I can begin looking at Future Terra. I will start a fund raising campaign for it. It will be simpler than ROK II and more Play By Post focused. The highlight will be that you can use your Skills within Posts. In other words, during a certain part of a scenario you can declare your Character will use X Skill and get the result right there and then. No need for dice rolling and so forth as the script will check all that and update your Character Sheet too. This will allow everyone to focus on good Science Fiction role-play than dice rolls or what rule books have to say. Where is this battle map JB, can players interract with any of it yet? I'm still interested in creating a character for this if required?